The Travelling Lindfields: 10 Australian animals you have never heard of and where to find them. 10 Australian animals you have never heard of and where to find them. Think of Australian animals and you might conjure up images of cuddly koalas and cute kangaroos, or perhaps venomous spiders and deadly snakes, but have you ever heard of a quokka, a dugong, a pademelon or an echidna. Alongside their more famous cousins Australia has a plethora of lesser known marsupials and other animals which no-one has ever heard of. They are just as cute, just as interesting and, like all things Australian, just as unique. I have compiled a list of my favourites with a few hints on where you might find them in the bush. Quokkas have a reputation as one of the cutest animals on the planet. Social media is littered with photos of these little marsupials staring straight at the camera lens with what seems to be a big smile on moon-like faces. Personally, I am not so sure. When they were first discovered by a Dutch sea captain he named their island home 'Rotte Nest' meaning rats nest because he mistook them for rats. My sympathies are with the Dutch. About the size of a domestic cat, quokkas look a lot like over sized vermin. The good news is that they are easy to find in their natural habitat. They live on Rottnest, a small island off the coast of Fremantle in Western Australia. Visit Rottnest and you will see them everywhere. For everything you will ever need to know about Rottnest click on the link: Rottnest Island: A guide to quokkas, cycling and beaches. Maybe this is how all those cute photos on social media are taken. Dugongs are large aquatic mammals which live in the warm waters of northern Australia. 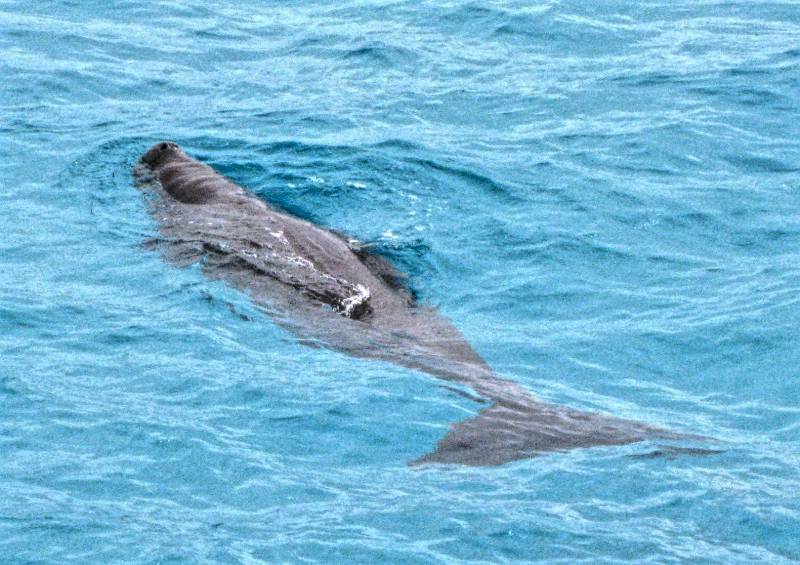 Sometimes called 'sea-cows,' they grow up to 3 metres long and weigh 400 kilograms. With their large flat tails they look like a cross between a small whale and a mermaid. They once inhabited the waters of the Mediterranean and may have been the creature which gave rise to the myth of mermaids. Look for dugongs in the sea along the coast from Shark Bay in Western Australia to Moreton Bay in Queensland. I have never seen a dugong in the wild but Sea Life Sydney Aquarium at Darling Harbour in Sydney has two. With a reputation as the most dangerous bird in the world (it is Australia after all - I have to include at least one dangerous animal), the cassowary is also one of the most beautiful. About the size of an ostrich, cassowaries have a multi-coloured blue and red neck, and blue-black feathers. They inhabit the rainforests of North Queensland. 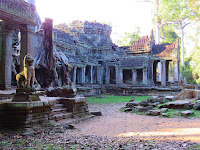 Look for them along the coast from Cape Tribulation to Edmund Kennedy National Park and inland at Wallaman Falls. Go to the Cassowary Recovery Team website for more information on these dramatic creatures. Platypus are so unusual that when the first platypus skin was sent to England in 1798 zoologists tried to prise its bill away from the pelt believing it was a hoax. The platypus along with another less well-known Australian animal, the echidna, are monotreme marsupials. Monotremes are the only mammals on the planet which lay eggs rather than give birth to live young. The platypus has a bill like a duck, fur like a mammal, a large flat tail like a beaver and webbed feet. With a poisonous spur on its hind foot, it is one of the very few venomous mammals. Semi-aquatic, platypus live in inland waterways. They are notoriously shy and difficult to find in the bush. For the best chance of seeing one head to Tasmania. David and I followed the directions of a fellow travel-blogger to Deloraine when we were last in Tasmania and were rewarded with a great sighting. For a list of the best places to see Platypus see Where to Look for Platypus in Tasmania or if you happen to be in Canberra visit Tidbinbilla Nature Reserve. Like platypus, echidnas are monotreme marsupials, or egg-laying mammals. They are small, shy and covered in spines. When frightened they roll into a tight ball and defy all attempts to coax them out of their protective posture. Despite being Australia's most widespread native mammal they can be tricky to spot. Keep an eye out for them by the side of the road almost anywhere in Oz and you might get lucky. Pademelons are a close, much smaller, relative of kangaroos and wallabies. Wide-spread in Tasmania, they can also be found in the coastal regions of Queensland and New South Wales. They are extremely shy and it is more common to hear them scurrying through the undergrowth than actually see them. Did you know that Australia has penguins? Little blue, or fairy penguins, live along the coastlines of southern Australia and New Zealand. 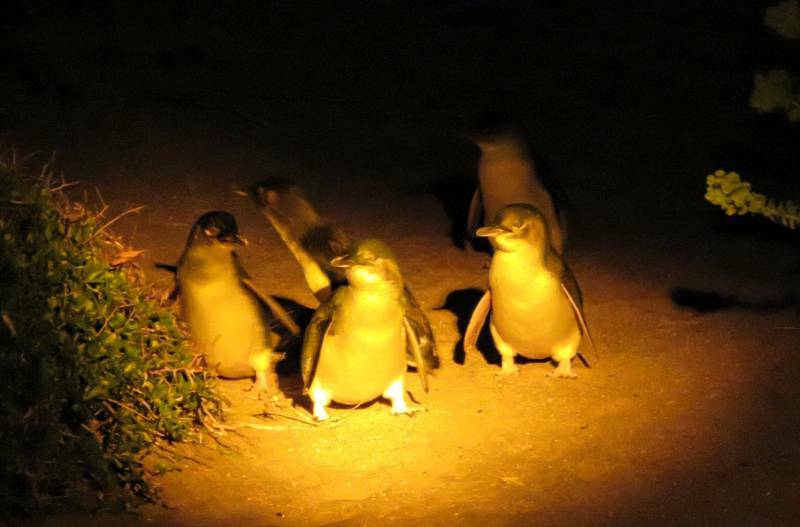 For a list of the best places to see these adorable little creatures go to The Little Penguins of Low Head and scroll down to the end. 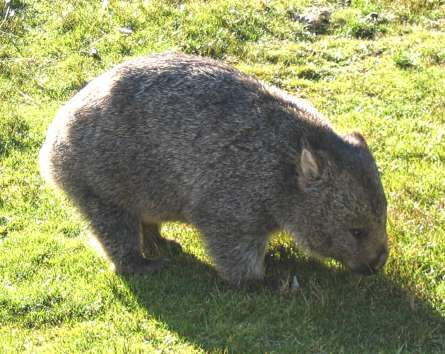 Wombats are balls of pure cuteness. They have short legs, fat furry bodies and mischievous faces. A marsupial mammal, they are found throughout south-eastern Australia and Tasmania. 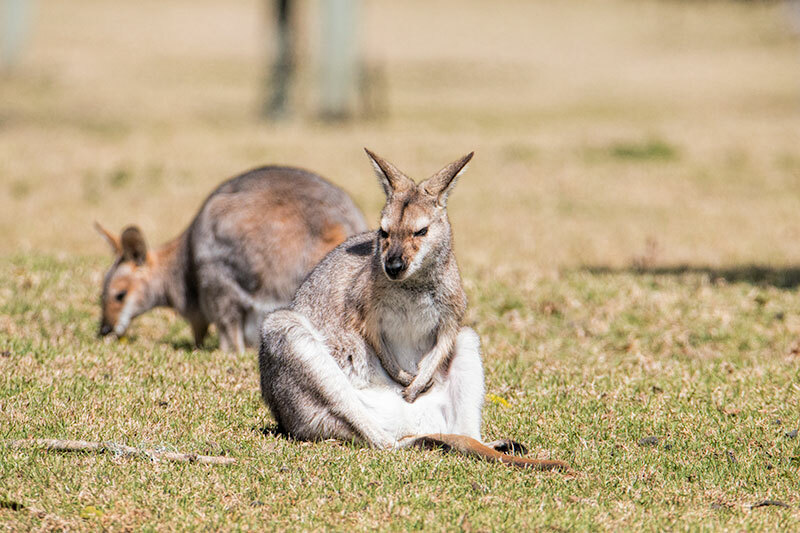 Like kangaroos, koalas, wallabies and possums they rear their young in a pouch. In the case of wombats the pouch faces backwards to prevent dirt spraying onto their off-spring while they dig their burrows. Tidbinbilla Nature Reserve near Canberra is a reliable place to see them as is Cradle Mountain, Tasmania. 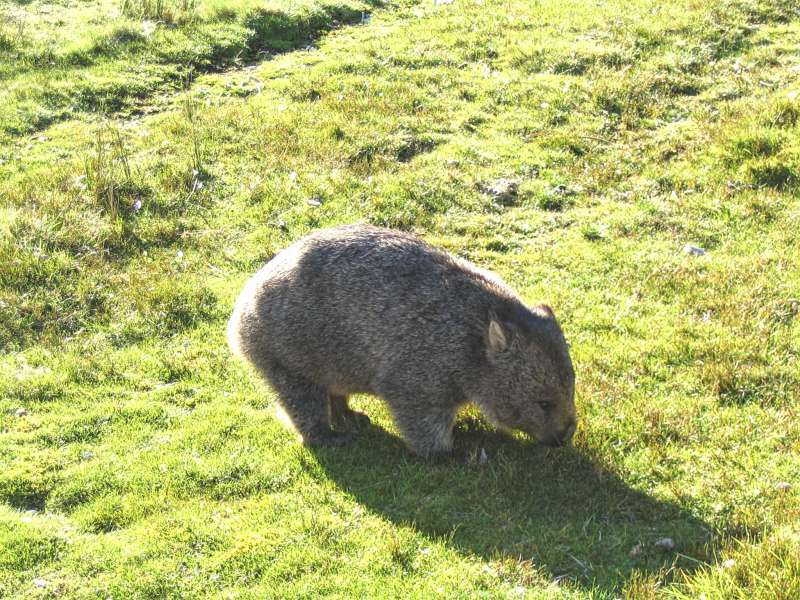 Maria Island, off the east coast of Tasmania has a significant wombat population. 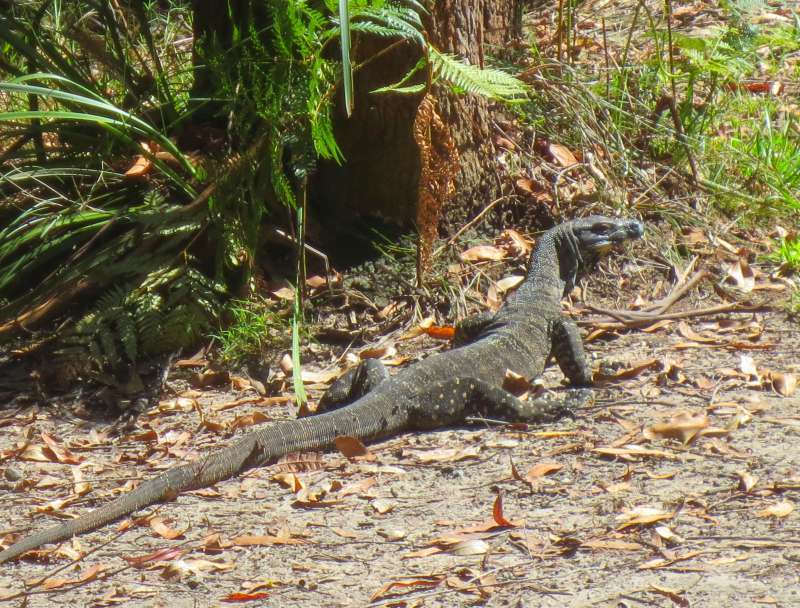 Goannas are one of the largest lizards in the world. A close relative of the komodo dragon they can grow up to 2 metres in length. They are found throughout mainland Australia. Although they have sharp teeth and claws they tend to move slowly and never look threatening. The best place to see them in large numbers is Lizard Island on the Great Barrier Reef but I have seen a few in the national parks on the fringes of Sydney and once or twice in the Daintree. Watch for them sunning themselves on rocks or half way up trees. What is your favourite Australian animal? Have I missed any unusual ones out? Of course, I have. Feel free to add them in in the comments section. I had heard of platypus but never saw one before I went to the aquarium in Sydney. I actually think they are really cute! Thanks for sharing on #TheWeeklyPostcard. 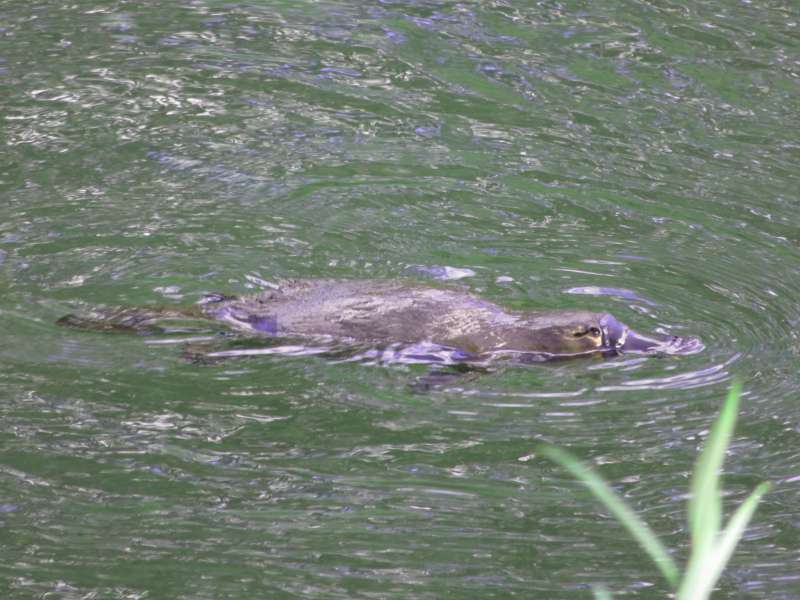 To get a really good view of a platypus in the bush you have to be lucky. The best way to see them is in a zoo or aquarium. Wombats have very long sharp claws, for digging their burrows. I don't think I would recommend trying to cuddle one, unless it is tame. Ha, there are so many weird Australian animals! Even I haven't heard of a couple of these! Someone posted a photo and video of a REALLY bizarre thing I'd never heard of on an Aussie Facebook group earlier - an alien-looking shrimp type of thing! Australia - you are WEIRD. Your photo of the platypus is awesome by the way! I really struggled to get any good ones. Haha - I would love to know the name of the 'alien looking shrimp type of thing'? Was it a marron? They are a kind of lobster you get in Western Australia. Or perhaps it was a yabbie? They look a bit weird. I took dozens of photos of platypus to get that one good one so don't feel too bad. Now you created another list for me. I have only seen 3 of these animals in the wild (and a couple more in Australia zoos). I wanted to see a cassowary in the wild but what I found was a brush turkey ( I know they're not even in the same class - just wishful thinking :) ). Haha - We get brush turkeys where we live in suburban Sydney. They drive David nuts. He has been conducting a guerrilla war with them for years. They scrape up everything into huge mounds for their nests until a suburban backyard resembles a wasteland. Once they decide on a spot for their nest it is almost impossible to dissuade them. The really funny thing is that David is not the only one at war with them. If you google 'how do I get rid of the brush turkeys in my backyard' you get a litany of poor souls desperate for a solution. 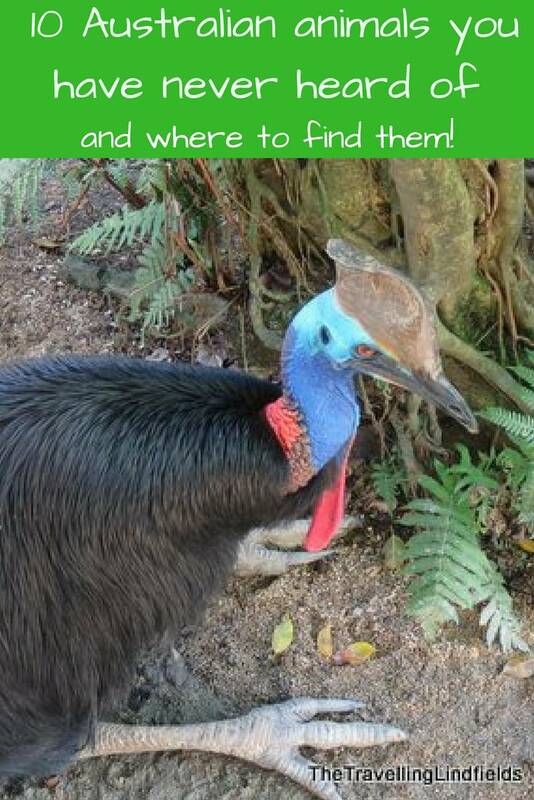 I have never seen a cassowary in the bush either but I have looked for them a few times in Queensland. Like all wild animals they can be elusive. I've heard of them all. I guess that must make me Australian. We have some amazing creatures here to call our own. How about a sugar glider or a frill-necked lizard? I thought of including a sugar glider but I don't have a decent photo of one so it didn't make the cut but you are right, I could easily have added many other animals to the list. Thank you. I hope you have a great time here. You know I am wild about Australian animals! We saw the wombat, echidna, platypus and the penguins. However three of those four were in animal sanctuaries. Clearly we need to return in search of these other lesser known fellows. I am glad you saw as many as you did. I love the thrill of seeing them in the bush. Next time you are in Oz you must come and stay with us. We will be next to a national park and I have been told we will get kangaroos, wallabies, wombats, goannas and echidnas in the back garden and in the nearby bush. I have already seen kangaroos, wallabies and goannas close by. Pademelons look a lot like kangaroos in photos but they are much, much smaller so there is no mistaking them in real life. There are quite a few wallaby species which are a lot like them though. I have been lucky to see most of these in the wild, except the Pademelons, white wallaby, and a Quokka. We really do have a great variety of amazing animals in Australia, dont we. 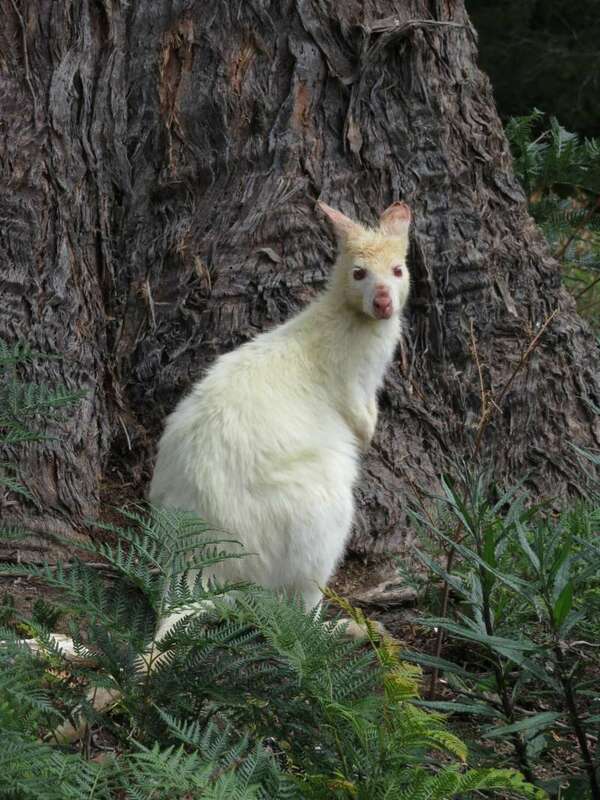 Out of the list you haven't seen, I think white wallabies are the most interesting. I envy you having seen a dugong in the wild. I am headed to Ningaloo Reef later in the year and I'm hoping I might see one there. There are fascinating creatures. What a great list! We managed to see all of these on a recent trip, but a few were in wildlife centers and not in the wild. Our top ten include two more (top 12? ), the tasmanian devil and its tree-climbing cousin, the quoll. I thought about including the Tasmanian Devil but there has been so much publicity about the cancer which is devastating them I thought they were probably quite well-known. Maybe the publicity has only been in Oz though. They are very difficult to find in the wild too. You're right Lyn - I've only heard of 2 of your ten on the list. And I'd only heard of quokkas recently on a blog post where someone went to Rottsnest. And pademelons sure do look like kangaroos! I'd love to see them all in real life someday! I wrote about Rottnest not that long ago. Maybe you heard about them from me. Which two have you heard of? I'm guessing it is platypus and little blue penguins. After you have shown her the pictures bring her to Australia and show her the real thing. I can guarantee she will adore the little blue penguins and white wallabies. Haha- if you find it hard pronouncing Australian nouns, I recommend you avoid New Zealand entirely. They have an entire dictionary of unpronounceable words. Hi from Australia. It's true we have some strange and some very cute animals. Lots of people think these things stroll down the main street of Sydney but it's not true. To be honest I've never seen most of these animals in the wild. David and I are relocating to a far northern suburb of Sydney fairly soon and we hope to get quite a few of these animals in our back yard. We have seen wallabies, kangaroos and goannas close by our new house. 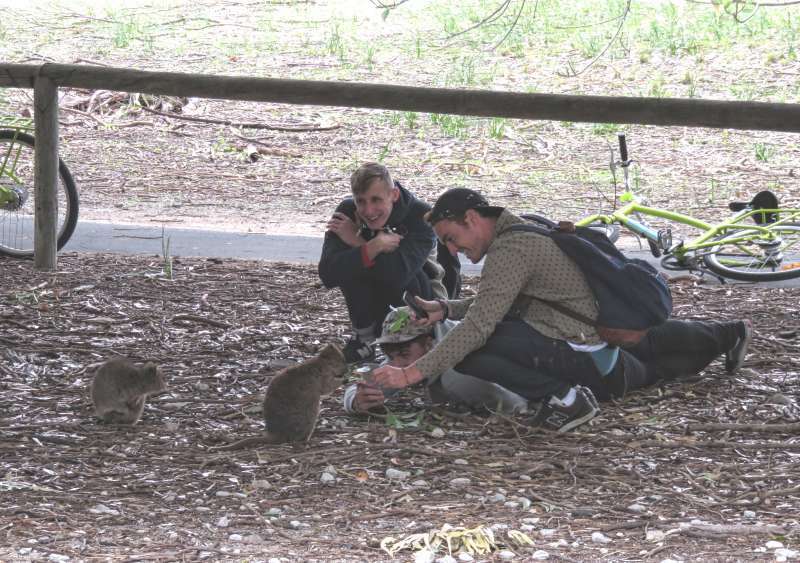 I saw blue penguins in New Zealand, and I think I might have caught a glmpse of a pademelon in Australia (as well as a white wallaby in a zoo, but that doesn't really count!) I'd love to see some of the others on your list, especially a wallaby. If you are ever in Sydney give me a shout out. I will invite you over for a late afternoon tea and introduce you to the wallabies in the National Park next to the house we are moving to soon. What an unusual bevy of creatures! I've heard of about half of them, but especially enjoyed learning about the new-to-me ones. After I hit the publish button, I realised how many more little-known Australian animals there are.